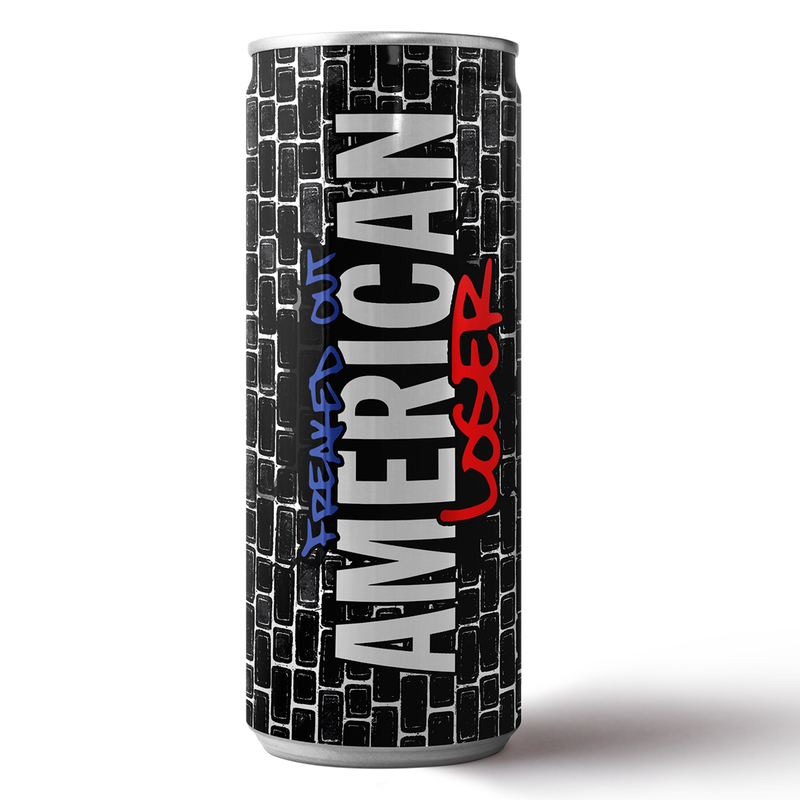 ULTRA LIMITED EDITION RESKIN OF THE CLASSIC THUNDER ZONE ENERGY DRINK (TZ005) FOR THE OCCASION OF THE JUICEBOXXX FULL LENGTH "FREAKED OUT AMERICAN LOSER," RELEASED BY DANGERBIRD RECORDS. MOST CANS ARE SIGNED BY JUICEBOXXX. SLAM A CAN AND TRY TO STAY POSITIVE.